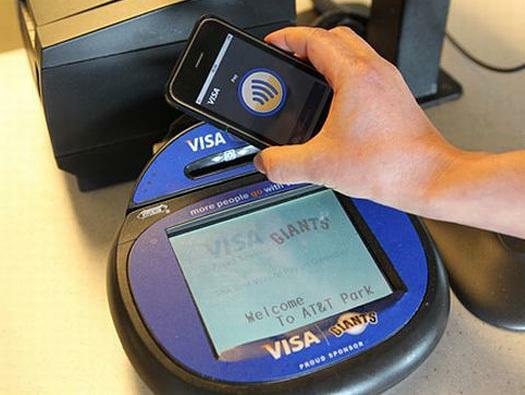 Apple Pay and the iPhone 6 is set to spark a boom in mobile payments across Australia. That's according to EMerchants managing director, Tom Cregan, who said launch of Apple's mobile payment and service and NFC capability on the iPhone 6 was an exciting industry development. "The launch of the Apple Pay service on the iPhone 6 has the potential to be a major catalyst for mobile payment adoption in Australia and around the world, which is an exciting industry development," he said. "Whilst we will wait for more details on the launch of the Apple Pay service in Australia, we would like to think that by leveraging Cuscal’s work to date regarding tokenisation, we believe that Emerchants is in a prime position to leverage the ongoing development of HCE based mobile payments." The Apple Pay service will ultimately aim to let people pay for retail store purchases using their phones, rather than cash or credit cards. A range of large retailers, along with most major banks and credit card issuers, including Visa, MasterCard and American Express, backs the service, which will work both with iPhones and Apple’s new Watch. In addition, Apple announced on September 15 that it had agreed to connectivity with six transaction processors in the United States, although it appears that the companies using the system can continue to use their current transaction processor for embedded applications. Australia has one of the highest rates of contactless payment availability, with around 60 per cent of Australian merchants offering contactless payment options. By contrast, only 2 per cent of retailers in the US support contactless payments, so there is a significant investment event required by the banks in order to install more contactless payment terminals so NFC-based mobile payments can gain traction. Apple Pay will then compete with other mobile payment solutions offered by Google, PayPal, Amazon and even large retailers, with Wal-Mart not accepting Apple Pay in favour of its own mobile payments solution, CurrenC. According to a company statement, this digital payment system will potentially give Emerchants the opportunity to provide its partners with a mobile payment option to offer to their customers. "Emerchants has already presented the CUSCAL HCE solution to several existing partners, who are excited with the potential it offers, once the number of handsets in market includes the iPhone as well as Android devices," a statement said. "In practical terms, by way of example, a customer with a Ladbrokes Visa card could also have a Ladbrokes payment app on the handset, which they would log into by through swiping the Touch ID key." That would show the balance on the account and rather than use their card for purchases, the customer would hold the iPhone 6 next to the contactless payment terminal, with Emerchants debiting the account once the transaction has been authorised. Cregan said, from a commercial perspective, Emerchants did not generate a significant revenue stream from the sale of the prepaid plastic card itself. "So if we eventually move to a world where cards are not required, it should mean a faster time to market given the time it currently takes for card designs to be approved by the customer, our ADI partners and the payment schemes, and then manufactured," he said.